The Ibanez Artist 2629 is a semi-acoustic in its simplest and most straightforward form. Much like a Gibson ES-335 it was manufactured in Japan during the 1970s. 2004 $2200 good Steve Great guitar...I chose it over a host of Gibson 335's (which is what I set out to buy) from the 60's to new. Take the Ibanez Artist 2629 price survey. 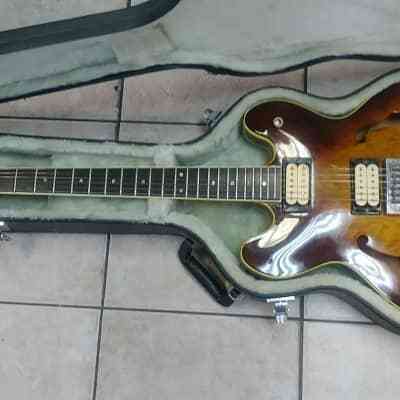 Buy Ibanez Artist 2629 electric guitars.